Made it there. Finally. After weeks and weeks of passport/visa stress and just generally passing over the country to visit other places instead for the past few years, I finally made it to India. Albeit a very small portion of it. Living in Dubai, one of my main goals when I go on holiday is simply to go somewhere green – and preferably tropical. This lead to my decision to check out India’s southern state of Kerala, although I initially tried to fit in a stop somewhere in the Indian Himalayas as well during my first draft of the travel plans. I quickly realized with only 2 weeks to travel and India’s travel system being a really unfunny joke, there was no way it would be possible to fit in both some of northern and southern India without being really rushed and spending literally days of my time en route on buses and trains. So Kerala it was, and even that got whittled down from my initial plans. First planning to fly in at northern Kerala (Kozhikode/Calicut) and work my way down to Kovalam in southern Kerala, and then finally fly out slightly north of Kovalam at Thiruvananthapuram/Trivadrum, I decided even to cut out Calicut (which I was later told by other travelers was a wise decision) and touristy Kovalam and fly into Kochi/Cochin in central Kerala. My final travel outline had me in Fort Cochin, Munnar, Alleppey (backwaters), and Varkala. For 2 weeks, and for people who really wanted to have the chance to relax a bit but still not do nothing, this plan worked out remarkably well. I learnt my lesson in Indonesia about planning to travel to too many stops in too large a space (I did not fully appreciate Java’s size until I tried to train across it) over too short a time. Indonesia was possibly my favorite holiday ever, but relaxing it was not (OK, maybe a little bit in those final couple days in Ubud, Bali). First stop, Cochin! At first I did not see any reason to stick around Cochin. 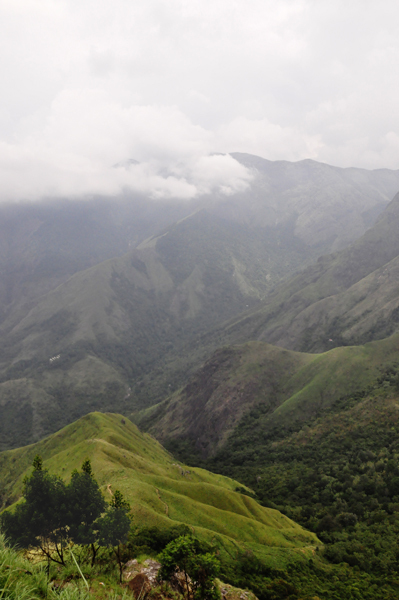 I planned to pretty much fly in and head right out into the mountains and Munnar. 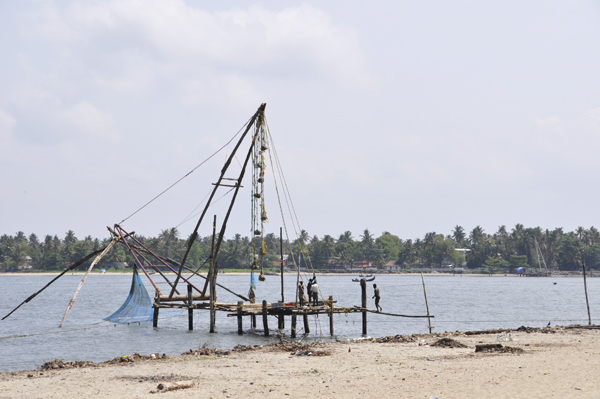 In the end I decided not to rush so much and spend a couple nights in Fort Cochin first. I am so glad I did (in fact, I wish I had spent even more time there). Fort Cochin is the older section of Cochin, filled with Dutch, Portuguese, and British colonial-era buildings and is pretty picturesque due to its history. 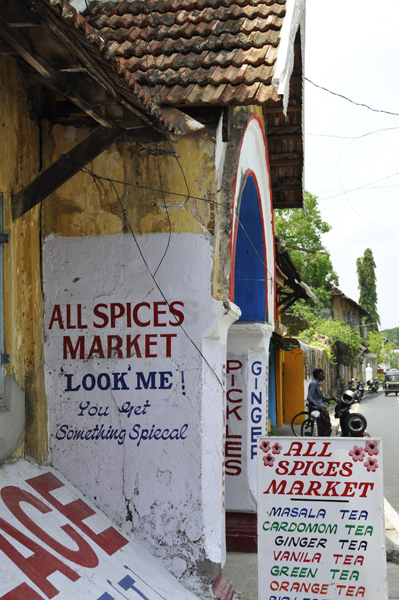 It’s also a hub for the spice trade and as you wander the streets, especially into Mantancherry, the air smells thick with a mélange spices, not least of which is pepper. …which I guess brings us to the food of India. The curry here. Oh my goodness the curry in this place. So good. And the types of curry – utterly inexhaustible. And just from this region. I could go to northern India and discover an entirely different, but undoubtedly just as delicious selection of curries. I expected the curry to be good, but it went above and beyond my expectations. I did not have even one curry that disappointed me. The cheap curry was amazing, the expensive curry was amazing (although still cheap comparatively speaking to other countries), the simple curry was amazing, the vegetarian curry was amazing, the non-veg curry was amazing – have I painted the picture yet? It was all outstanding. 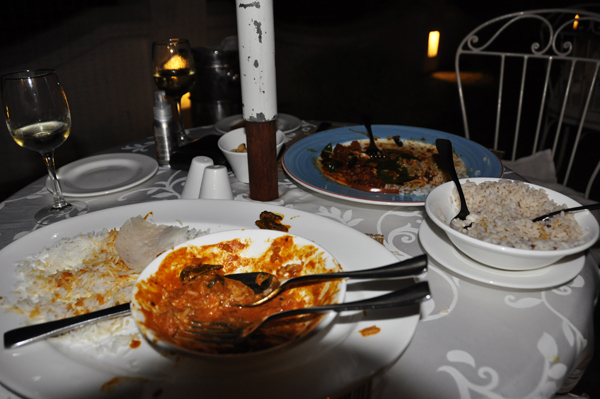 So incredibly full of flavor and Kerala’s fresh fish curries were always stunning. The level of spice was a slight bummer though. I think, because we were westerners, often the dishes’ spice levels were toned down a touch to accommodate our dainty palates and stomachs, but in most cases I definitely could have gone for the dish to be spicier. Even when indicating that we wanted properly spicy dishes I still did not receive anything that was, for me, too spicy. So that was a bit disappointing, although I did meet other travelers who found their dishes to be too spicy, so perhaps the level of heat was up to par, but I’m simply used to it due to my Dubai curry habit (vindaloo? don’t mind if I do!). 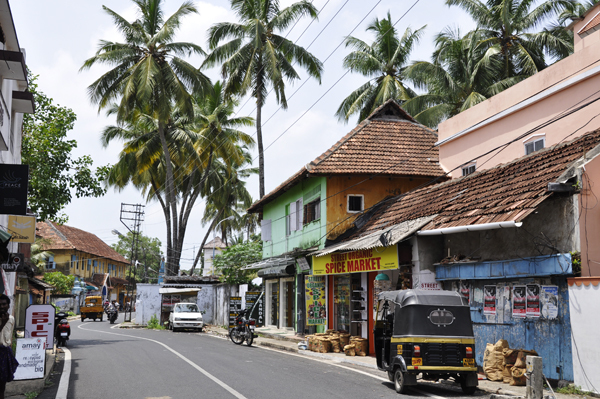 Fort Cochin is a superb location for walking. 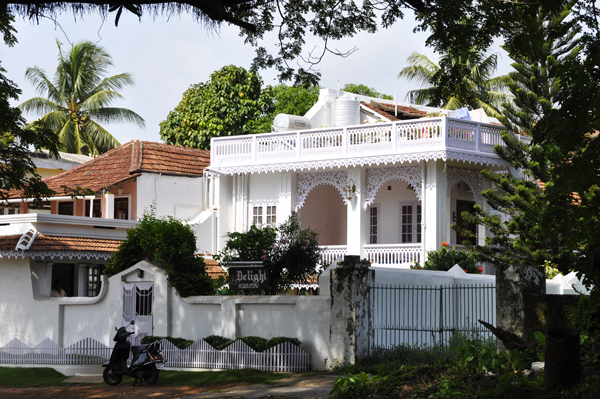 There are loads of quaint cafes and shops, heritage buildings, some fishing action via the distinct Chinese fishing nets, spice markets, lovely old churches and even some chic little boutique hotels (pop into Malabar House’s wine bar for a nice evening). You can walk along with little idea for where you’d like to go (which is pretty much how I walk anywhere because my sense of direction is non-existent) and probably find yourself content to take in the given surroundings. I do not have such glowing remarks about our next stop, Munnar, which was a hole of a town (although the eatery Rapsey’s, in the bazaar, was excellent). If there’s one thing I can advise about potential visitors to Munnar, it is stay away. I don’t even have photographs of the town because, frankly, I’d rather just forget. Let me be more specific. The town of Munnar is utterly wretched. The plantations and resorts in the surrounds are lovely. You can’t just go to Munnar town though and stay there, and expect to be able to trot off and go walking through the (gorgeous) hillsides. It’s just not that simple, sadly. We found out the hard way. Pretty much upon arrival in Munnar, the wheels in my head began spinning and formulating a plan to get the back out. 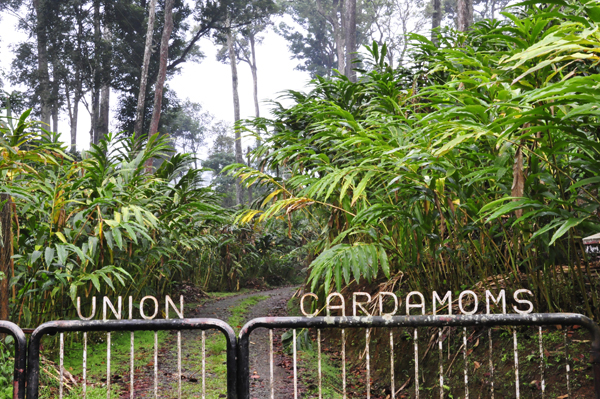 After spending one excruciating night there, we booked it out first thing in the morning and set ourselves up in a cozy homestay on a small (working) cardamom plantation located about 20km outside of the town. Much better. Basically set within the mountain jungle of the Western Ghats, this was closer to what we were looking for. Natural, peaceful, and clean. 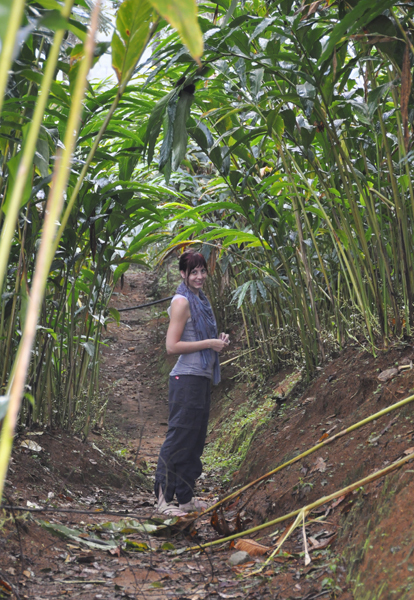 We were still unable to get that day trek in, but there were better opportunities for a nice walk around (and sneak into a neighboring cardamom plantation). Also a great thunderstorm. Previous to moving to Dubai, rain on vacation was the worst – now I hope for it! From here we were still able to head up to Top Station, located on the Tamil Nadu border, one of the highest points in the Ghats, and offers views of the surrounding mountain range. 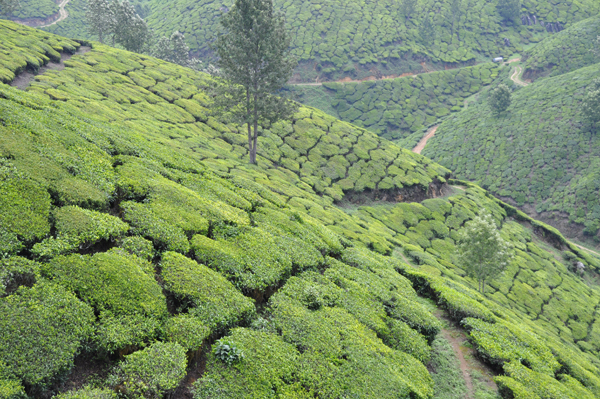 The drive there offered plenty of opportunities to view the endless array of tea plantations and even take a stroll through them. Tea plantations are, in my opinion, almost criminally picturesque. While the leaves don’t really taste of tea – only leaf – you could still smell tea in the air at times.